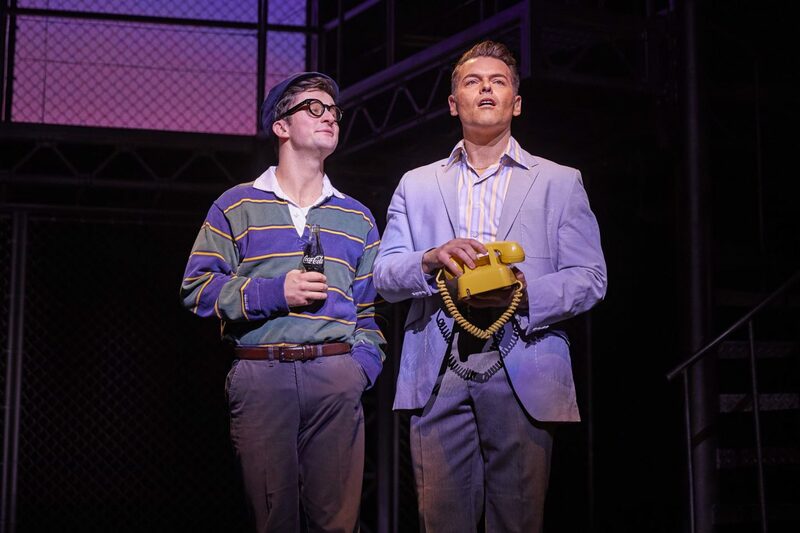 The West End phenomenon Jersey Boys returns to the Centre for January 2019, by popular demand. 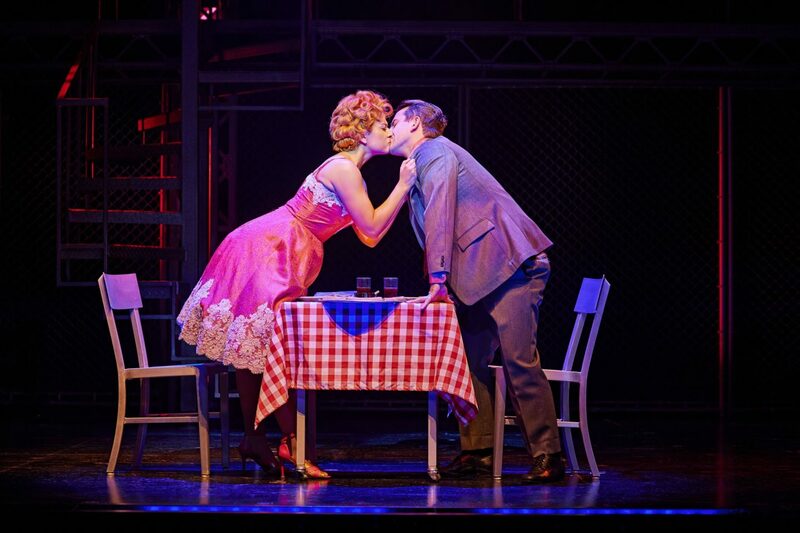 This smash hit musical has won 55 major awards worldwide, including the Olivier Award for Best New Musical. Jersey Boys tells the true story of four boys from the wrong side of the tracks who wrote their own songs, invented their own unique sound and sold 175 million records worldwide. 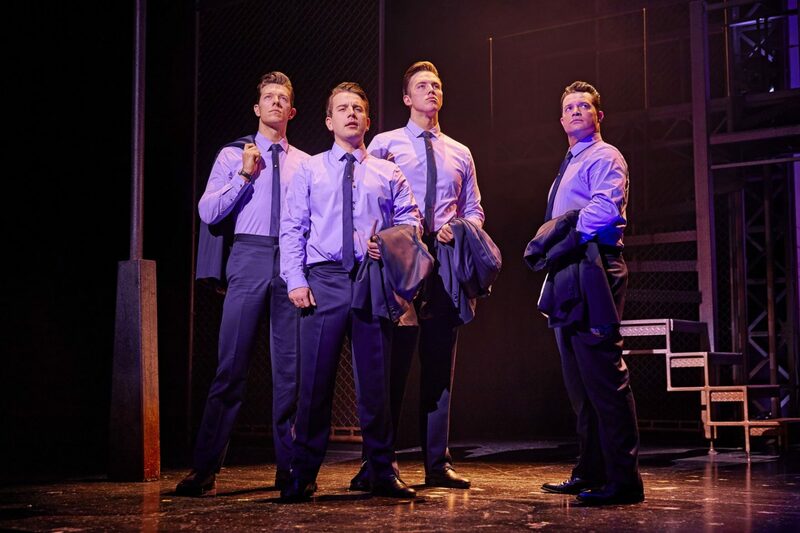 Featuring hit after legendary hit including Beggin’, Can’t Take My Eyes Off You, Oh What a Night, Sherry, Walk Like a Man, Bye Bye Baby and Big Girls Don’t Cry, Jersey Boys is a story full of heart, humour and “sheer musical razzmatazz” (The Sunday Express). 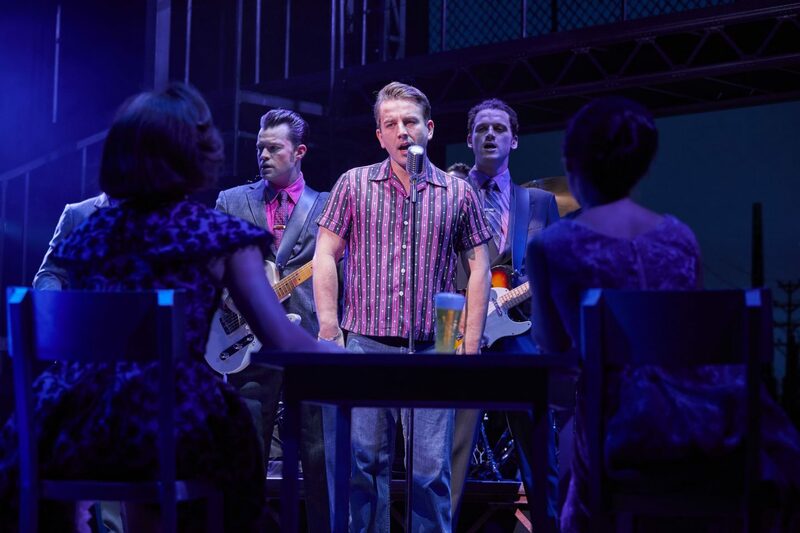 When the writers of Jersey Boys, Marshall Brickman and Rick Elice, met with the three surviving members of The Four Seasons they were faced with a dilemma, each band member told a different story. In the show they say, “You ask four guys how it happened, you get four different versions.” but in reality they heard a lot more. 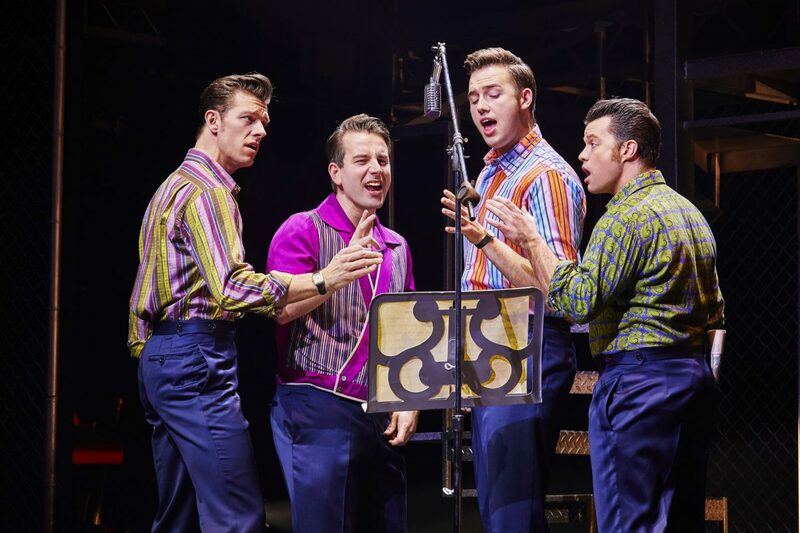 This turned into the show’s greatest asset as Tommy DeVito (guitarist), Nick Massi (bass and vocals), Bob Gaudio (song writer, keyboard and vocals) and Frankie Valli (lead singer) each get a chance to tell their side of the story, the four seasons of their journey together. The show surprisingly opens up in Paris (I actually worried that I’d downloaded the French version of Jersey Boys Musical when I added the soundtrack in anticipation of watching the show!). “That’s our song. “Oh What A Night”. “Ces soirées-la”. French. In New Jersey, Tommy DeVito (Simon Bailey) and his friends are in and out of prison as often as they change the early line up of their bands. The basic stage setting (by Klara Zieglerova) consists of raw metal scaffolding that fits the jailhouse scene perfectly and it’s simplicity means with just a few props the stage can easily be transformed from a bar to a bedroom to a stage, the dark set enhanced by Roy Lichtenstein-style cartoons on the screen in the background and colourful costumes. DeVito discovers Frankie Castelluccio (Michael Watson) “a kid who sings like an angel“. They have a rocky start but eventually DeVito, Castelluccio and Nick Massi (Lewis Griffiths) are in the same band. Casteluccio changes his name to become Frankie Valli (He had planned to change it to Vally until his future wife to be, Mary Delgado (Tara Young) advises him: “You’re Italian. You gotta end in a vowel. Delgad-O. Castellucci-O. Pizz-A.”). They meet Bob Gaudio (Declan Egan), writer and performer of the hit “Who Wears Short Shorts?” with The Royal Teens and convince him to join the band- although on his terms as he insists on an equal share. Now, “The Four Lovers“, the boys struggle being session musicians for Bob Crewe (Joel Eferink) while wanting to record their own hits. All this was to end. After a failed audition at a bowling lounge the boys looked up at the name of the establishment- “Four Seasons” in neon lights. “It’s a sign!” they remark to much laughter from the audience. Thus, “The Four Seasons” were born. With Gaudio’s songwriting and Valli’s unique voice the band are getting hits. Gaudio and Valli wisely choose to enter into a business relationship together- whatever money they make, even through individual ventures, they will continue to split 50/50. They seal this with a handshake. “You want a contract? Here. A Jersey contract.” This handshake becomes a pact, cementing a relationship that has endured for over 50 years and continues to this day which I really respect them for. The big hits began to come thick and fast for the newly named band. “Sherry”, “Big Girls Don’t Cry”, “Walk Like a Man”, “Candy Girl” and “Ain’t That a Shame”. They went on tour with girl band, The Angels who play one of my favourite songs, “My Boyfriend’s Back” in the show. In 1965, Nick Massey left the band and was replaced. All right, I’ll be honest with you. It could have been an ego thing. Everybody wants to be up front. some time with my kids. The top twenty hits continued to come with “Let’s Hang On” (one of my parent’s favourites), “Working My Way Back to You”, “Opus 17 (Don’t You Worry ’bout Me)”, “I’ve Got You Under My Skin”, “Can’t Take My Eyes Off You” (released under Valli’s name as a “solo” single), “Beggin'”, “Tell It to the Rain”, “C’mon Marianne”, and “I Make a Fool of Myself” (Frankie Valli “solo”). One of my favourite parts of the show was when we got to see The Four Seasons “Live on TV”, real television cameras were on stage and as they played the black and white screen showed the boy’s playing live just as it would have been shown in the 1960s with some cuts to original crowd footage too. This effect really brought me back in time to an era during which I’d have really loved to have lived. By this time Tommy Devito’s huge debts with loan shark Norm Waxman (Peter Nash) had added up. The show does not shy away from the gritty side of crime and the Mafia (it is said that the one mafia family insisted on checking the script to ensure that their dad was not disrespected in the play. “They made it very clear they knew where we lived,” Elice jokes. Another great show of friendship and loyalty was displayed when Gaudio and Valli sorted this for him by buying him out of the band. They worked really hard to clear their friend’s (who they though more of as a big brother) debt. 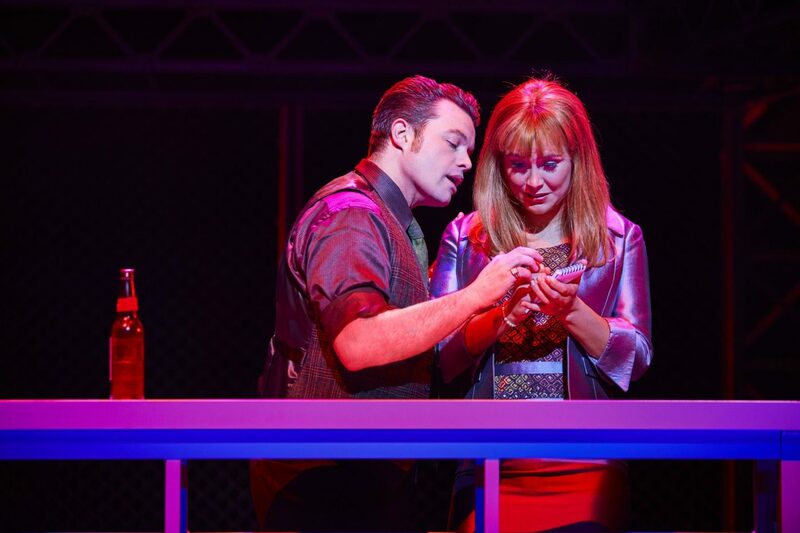 With DeVito now out of the band, things change, Gaudio steps back from the stage preferring to spend more time writing for Frankie Valli, The Four Seasons and other acts. The Four Seasons became “Frankie Valli and The Four Seasons” and continue to more success. In private, their personal lives aren’t so easy. There’s a heartbreaking scene where Valli sings “Bye, Bye Baby” after learning about the death of his daughter, Francine (Phoebe May Newman) and the reality was even sadder as his step daughter Celia had died six months earlier. Even though this song was actually released five years before these tragedies occurred I’ll never listen to it in the same way again. 1963 may have been a special time for the Four Seasons but so was 1990 when they got inducted into the Rock and Roll Hall of Fame in New York, resulting in an emotional reunion and allowing us to end the show on a high. 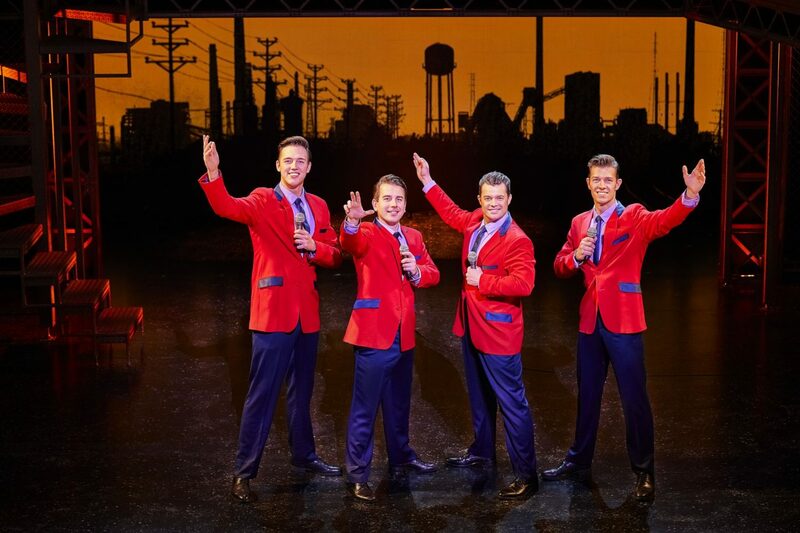 Jersey Boys reminds us that these were just four normal boys from New Jersey who had a lot of talent and got lucky. It’s a fascinating story that pulls the crowd in and I’m not sure ever lets us go (I’m still googling Four Season’s facts and watching original footage days later!). The songs seamlessly bring the show together and have the audience clapping along and singing immediately. At the end of the show we all got up on our feet to dance and no one wanted the show to end. As we made our way out of the theatre everyone was humming a tune, singing a song or moving to the rhythm.The cast were incredible- than you for bringing this story and band alive for us! Sadly, NIck Massi passed away in 2000. Tommy Devito is happy in Los Vegas with his family, Bob Gaudi continues to write and incredibly at 84 years of age Frankie Valli continues to perform with his incredible voice. Like that bunny on TV with the battery, I just keep going and going and going. Chasing the music. Trying to get home. 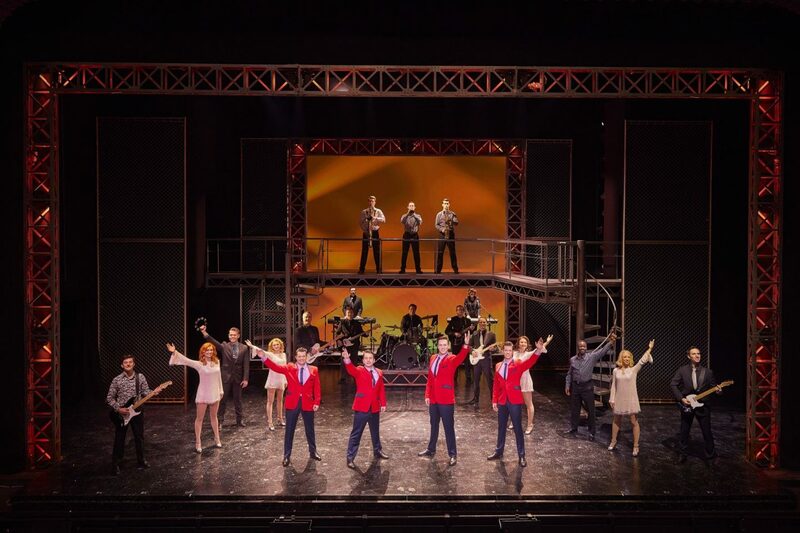 Jersey Boys is a musical for young (12+ as it does contain swearing) and old – for fans of the Four Seasons or an audience hearing these songs for the first time- you’ll love it! Oh what a story, oh what a night! Looks like a great night out!